It’s here! Our Top 30 New Years Games! Before you know it, the New Year will be upon us, and it may well be that you are still planning the finishing touches (or the entire event!) for your New Year’s Eve Party. No need to worry, we’ve got you covered. You’ll find everything to kick your party or event off right (Soda Sock Swig & Mash Up) to fun team games (3-Ball & Escape the Island) to epic game event nights (Scavenger Hunt & The Amazing Race). 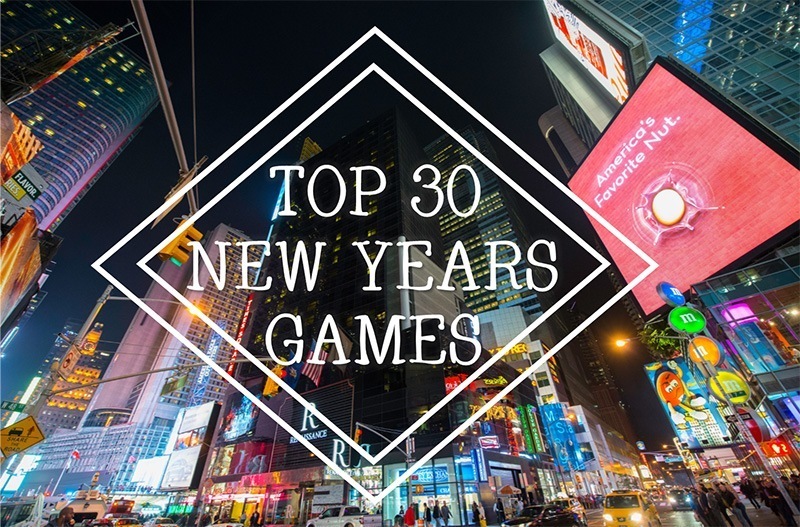 Find our Top 30 New Years Games along with tons of bonus suggestions as well. Whatever you need, you can find it here! Check it all out and get ready for the best New Year you’ve ever had!! Like our Top 30 New Years Games? Show us some love and share it on Facebook & Twitter with your friends. As always, you can get more great games and tips by subscribing to our blog, liking us on Facebook & following us on Twitter @stumingames.